I’m counting the days until our trip. I know that most people are heading to warmer climates, but I’m psyched for our chilly adventure! Thank God it’s the weekend! The past few weeks have been a slog and I’m really looking forward to not wearing work clothes, a glass of wine and a good book. Also, I’m nerding out and going to a puppy festival on Sunday. Puppies + Costumes = Amazing. Is this an outfit? Does it work? When it come to office wear, I lose my fashion compass. I work at a somewhat conservative organization. But the idea of wearing the type of clothes that I hate in order to blend in is just depressing. 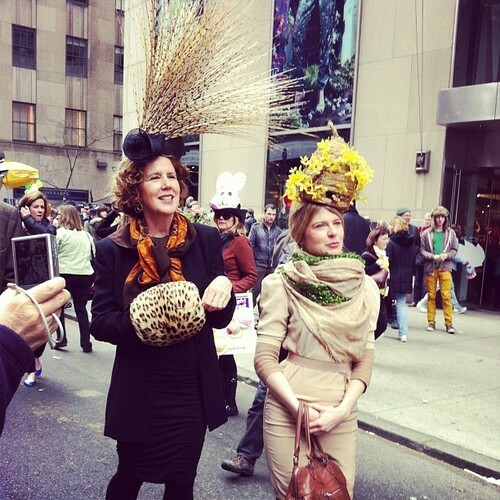 How do you stay work appropriate while remaining true to your sense of style? 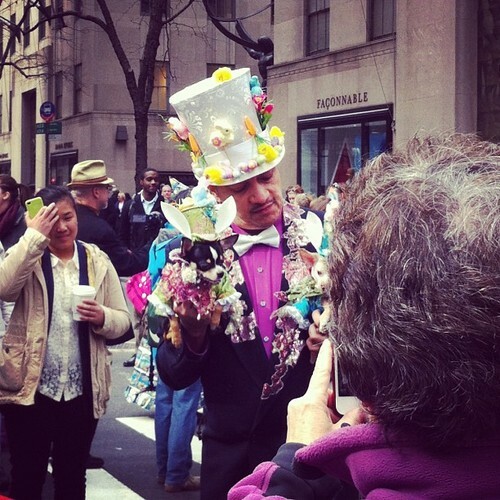 I was in NYC this weekend for the Easter Parade, which was fabulous, as per usual. 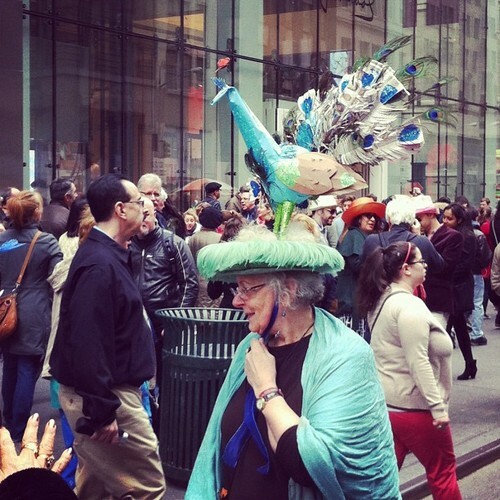 I even saw Bill Cunningham! 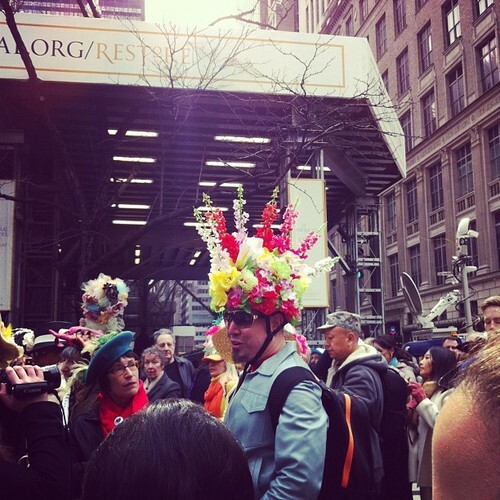 Next year, I’m going to wear a hat as big as the Ritz. 1. /2. /3. /4. /5. I’m going to be heading to Sonoma in two weeks and am starting to plan my packing list. It might be warm or it might be quite chilly, so I’m going to need some options. But regardless of the temperature, I’m definitely going to go on a wine picnic.